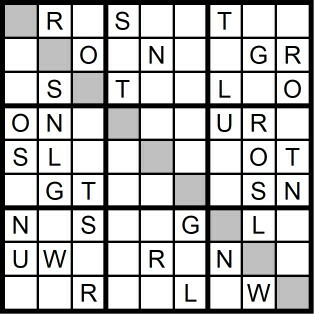 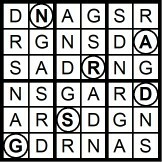 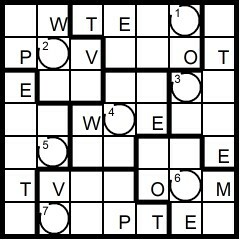 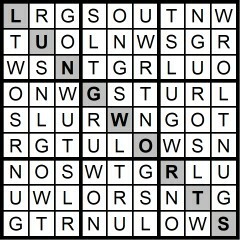 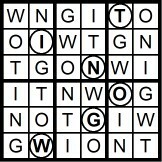 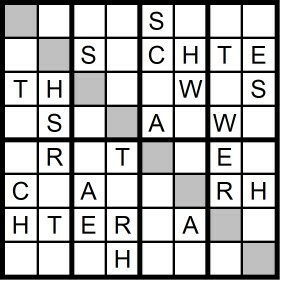 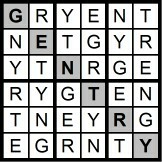 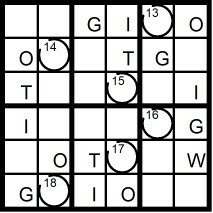 Yesterday's 9x9 Hidden Word Sudoku puzzle was based on the letters LOW GRUNTS (LUNGWORTS). 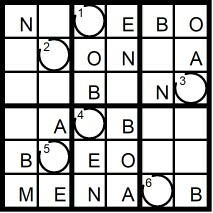 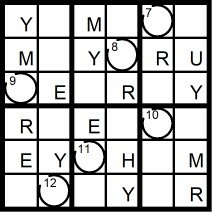 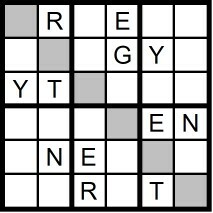 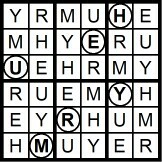 Yesterday's 4x4 Hidden Word Sudoku puzzle was based on the word NARY (YARN) and the 6x6 Hidden Word Sudoku puzzle was based on the words ERN TYG (GENTRY). 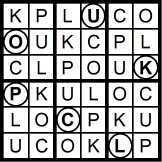 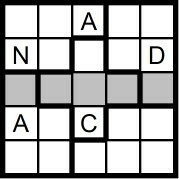 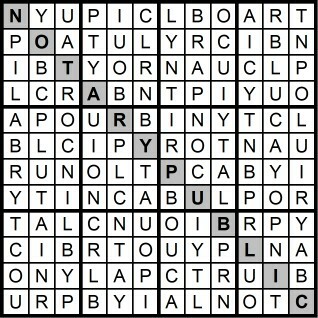 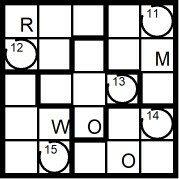 Yesterday’s Sunday Challenge 12x12 Hidden Word Sudoku Puzzle was based on the letters RAPT BOUNCILY (NOTARY PUBLIC). 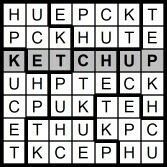 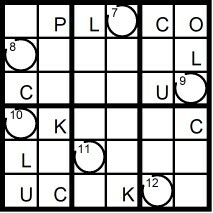 Yesterday's 5x5 Hidden Word Sudoku puzzle was based on the letters D CYAN (CANDY) and the 7x7 Hidden Word Sudoku puzzle was based on the letters THE PUCK (KETCHUP). 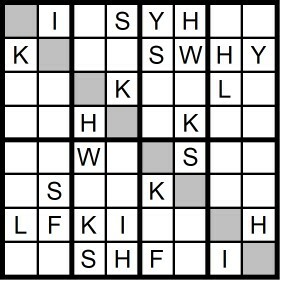 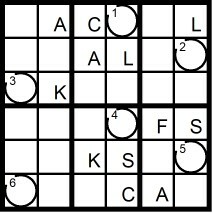 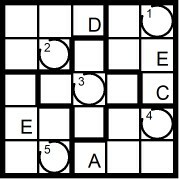 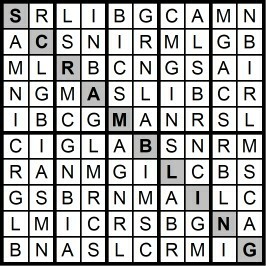 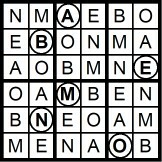 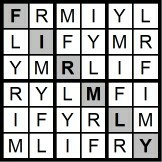 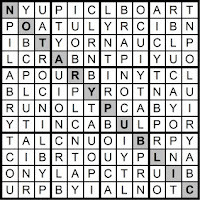 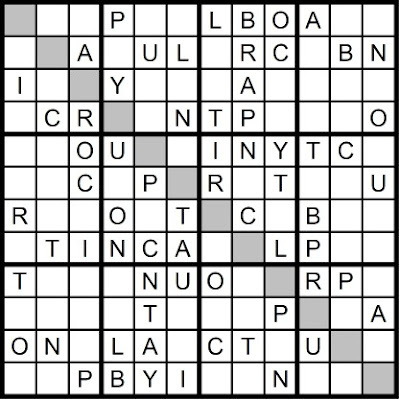 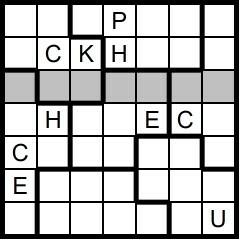 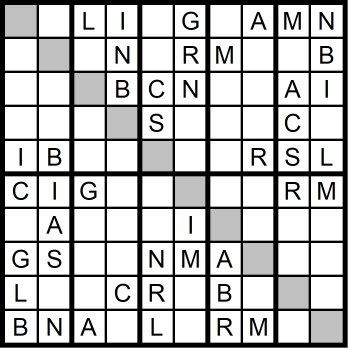 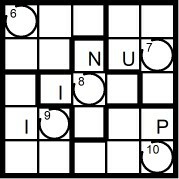 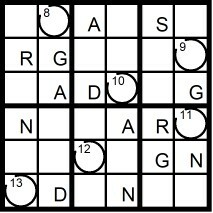 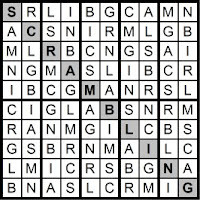 Yesterday's 10x10 Hidden Word Sudoku puzzle was based on the letters BRINGS CALM (SCRAMBLING). 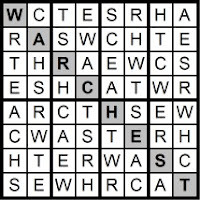 Yesterday's 8x8 Hidden Word Sudoku puzzle was based on the letters WATCHERS (WAR CHEST). 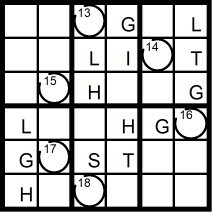 Yesterday's 9x9 Hidden Word Sudoku puzzle was based on the letters WHISKY LAM (MAWKISHLY). 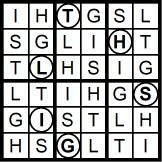 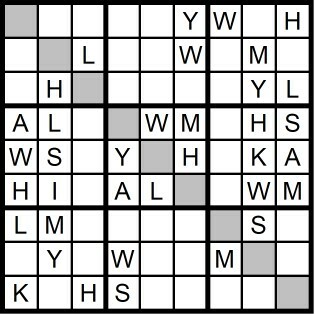 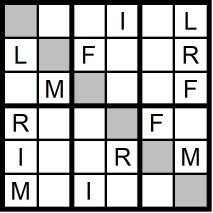 Yesterday's 4x4 Hidden Word Sudoku puzzle was based on the letters ES TZ (ZEST) and the 6x6 Hidden Word Sudoku puzzle was based on the letters FLY MIR (FIRMLY). 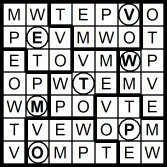 "Please get in the elevator," said Tom uppishly.